Support worthy non-profit, charitable, and community-based organizations in an effort to encourage future generations’ appreciation and understanding of the potentials of technology and science through creative education and community outreach programs. 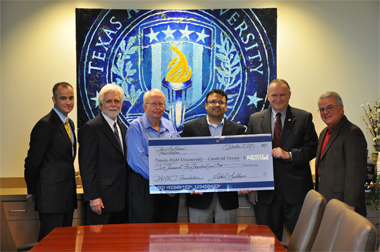 Yearly Scholarship at Texas A&M University Central Texas – In picture from Left to Right. Since 2010, the Subhani Foundation has been positively affecting the youth of Central Texas. Please join us in our efforts to make a difference in their lives. Your donation will allow us to further our mission. Please submit your tax deductible gift to continue the legacy. © Subhani Foundation, 2013. All rights reserved.